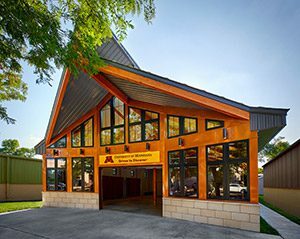 The Driven to Discover Research Facility was launched in 2014 to bring University research and researchers into closer contact with the Minnesota community. Over two million people visit the fair each year from across the state making it a great place to connect with people and engage them in exciting, innovative projects from a wide variety of disciplines. D2D allows fairgoers to participate in research in a fun, innovative, and convenient way. Most studies take under 20 minutes. D2D allows researchers to reach a more diverse pool of participants and meet recruitment goals in a matter of hours or days. Over 60,000 fairgoers visited D2D during the 2018 Fair. If you’re interested in conducting research at D2D in 2019, see the Investigators page for details on applying. To see how researchers and fairgoers have contributed in a variety of disciplines, review our current list of publications. ©2017 Regents of the University of Minnesota. All rights reserved. The Driven to Discover Research Facility (“D2D”) is located at 1367 Cosgrove Street on the Minnesota State Fairgrounds (map or pdf). Research shifts are from 9am to 2pm and 2:30pm to 9pm. Up to 10 research projects run concurrently during each shift, every day of the fair. If you have questions about D2D, or wish to add your name to our mailing list, please contact us at d2d@umn.edu .